For this deal of the week, we have a handsome TAG Heuer Carrera in pristine condition complete with its original box, manuals, and certificate. 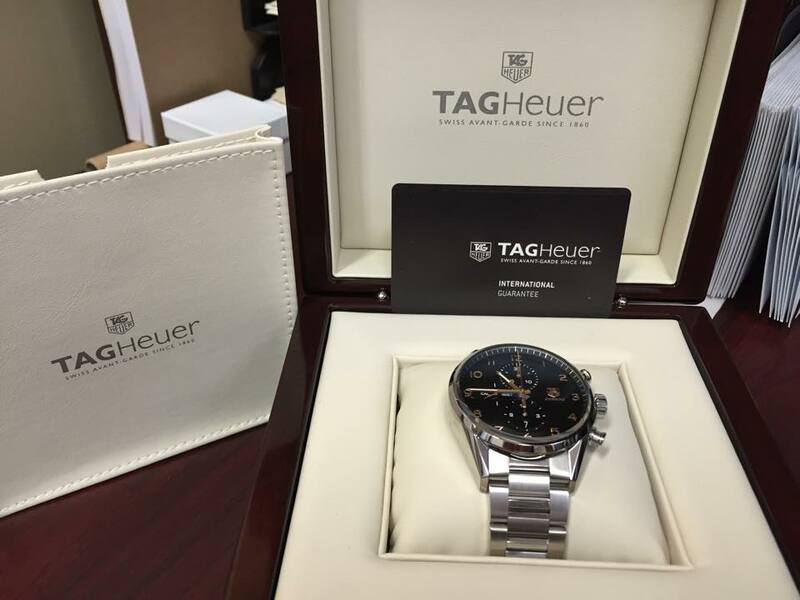 This is a current model from TAG Heuer, featuring a automatic movement with a 50 hour power reserve, chronograph function, date display at 6 o’clock, and water resistance to 100 meters. 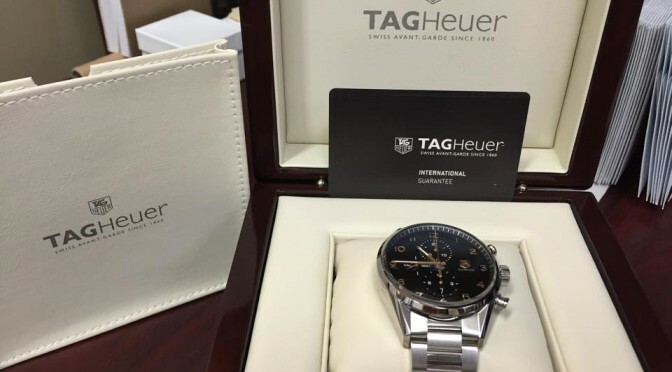 Currently retails from TAG Heuer for $4,800!